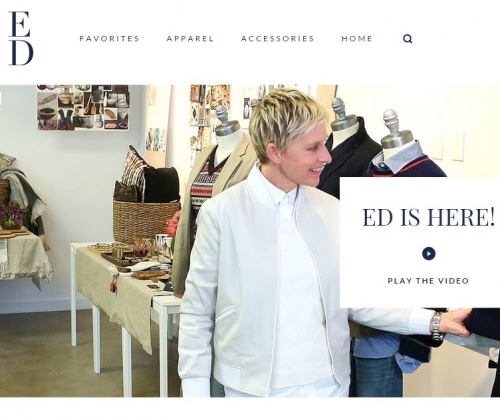 It took only 24 hours for Ellen DeGeneres to get 300,000 registered users and a couple of sold out items from her new lifestyle collection launched online at Edbyellen.com. This new venture has been Ellen's collaborative work with J. Christopher Burch of Burch Creative Capital, and it has already proved to be a successful one. 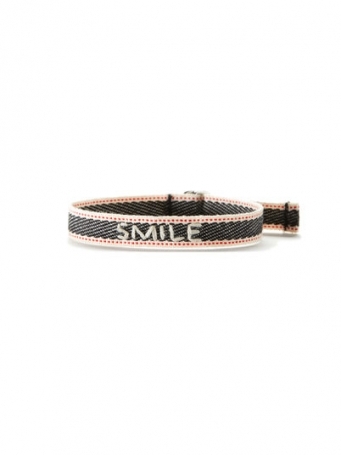 The collection consists of women apparel (shirts, knits, jackets, bottoms), decorative home items (serveware featuring animals, throws and pillows), accessories such as bracelets with signatures "Love", "Happiness", "Smile", "Joy" etc. In her welcoming video, Ellen describes this venture as a proud work of many years. The most notorious is that the first success of the ED proved how popular Ellen DeGeneres is. The collection was boosted through Ellen's Twitter account, which has around 45.2 million followers and was shared by many celebrities such as Madonna, Britney Spears, Kim Kardashian, Justin Bieber, Ariana Grande and many others. The ED from our beloved Ellen is becoming popular and now we expect more broader collections from the host of The Ellen Show.